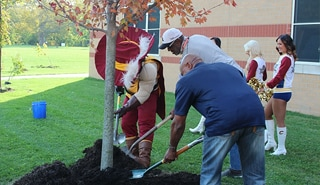 The Cavaliers have committed to planting one tree for every three-pointer made during ALL regular season home games. 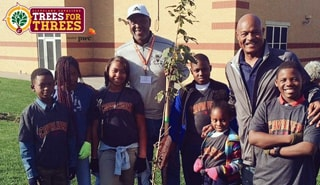 The Cleveland Cavaliers are working to make our community greener through our "Trees for Threes" program. 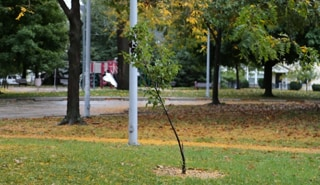 We have committed to planting one tree for every three pointer the Cavs make during all regular season home games. 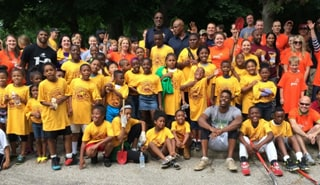 The trees will be planted throughout Northeast Ohio with the help of Cavs team members, the Western Reserve Land Conservancy, and The Davey Tree Expert Company - the tree provider for "Trees for Threes". Together, we are teaming with others in the community to enrich the areas where people live and work, helping to sustain the environment and provide green space for generations to come. Cleveland tree canopy cover is low at 19 percent, which is only one quarter of what is possible. Each year an estimated 97 acres of tree canopy is lost. Tree canopy is defined as seen from an aerial view, the amount of land cover that is as seen in summer months with leaves on. The current canopy level, even at 19 percent, provides Clevelanders with more than $28 million in services each year, ranging from storm water absorption to noise pollution reduction. The Cleveland urban forest intercepts 1.8 billion gallons of rainwater every year. By absorbing rainfall, this reduces the amount of water that makes it into storm drains and other infrastructure and can help lower the effects of erosion. Cleveland’s urban forest removes 415 tons of air pollution every year. 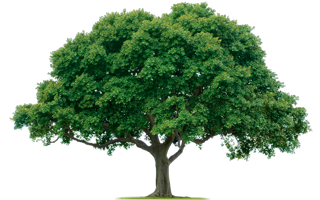 Trees absorb pollutant gases like nitrogen oxides and sulfur dioxide and filter particulate matter out of the air.